Best putters for beginners and high handicappers could be overwhelming for the novice golfers to make the choice. If the various putter types, putting greens and putting tutorials haven’t given you a hint yet, putting is the most crucial action in golf. It can make or break your golf career. All that straight driving and proper chipping culminate in the ball rolling precisely for a few meters. So golfers invest heavily in the right putters. There are so many types of putters based on the shaft, weight distribution and putter head designs. B. How To Choose The Best Putter For Beginners? Which Putter is right for you? One of Callaway’s flagship lines, the Odyssey 2018 Red O-Works Putters is enhanced with a good range of new head shapes. Succeeding the original O-Works line, the Odyssey 2018 Red features “toe-down” O-Works mallets that seamlessly rotate like a blade during each putting stroke, ideal for players who want the look of mallets but struggle to achieve consistency using face-balanced models. 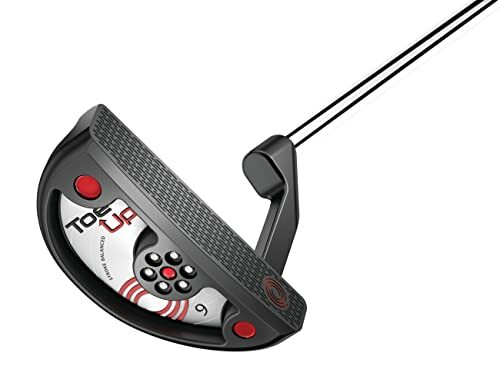 The toe-down designs help to achieve a similar stroke path to bladed models while incorporating the alignment and forgiveness associated with mallet putters, making the 2018 Red O-Works is one of the best Odyssey putters. The 2018 Red O-Works Putter’s top-notch performance is owing to its Microhinge Insert Technology. Its new insert has two unique elements that have been formed together to produce optimal feel and performance. The hinges on its Microhinge plate bend and rebound at impact to create topspin and allow the ball to roll more quickly. Its thermoplastic elastomer inner layer provides the soft feel that Odyssey putters have been popular for over the years. The 2018 Red O-Works putter also features the innovative Versa Alignment Technology, which helps players set up and align properly, while its several tour-proven shapes provide golfers with a responsive feedback and feel. As mentioned above, the 2018 Red O-Works line features new “toe-down” mallets that rotate seamlessly like a blade during the putting stroke itself. Toe-down design helps address consistency issues some players may have by keeping a similar stroke path as that of other bladed models. The design also offers the alignment and forgiveness associated with mallet putters, which makes it easy to see why the product is one of the most forgiving putters you can ever find. Both lineups also include face-balanced models, in both putter and blade - for golfers who have a more straight-forward or straight-backward pendulum putting stroke. Labeled after the picturesque location of Cleveland Golf’s North American headquarters, the Huntington Beach #1 Golf Putter flaunts a classic design that has been renowned for generations. Its head shapes aren’t, in any way, new selections for Cleveland’s putter lines, and therefore, the point of this release is to present tried-and-tested designs that will never go out of style. Combined with the diamond-milling pattern, this putter finally seems to produce a very consistent, dense sensation through impact sans the harshness one might expect out of a putter in such price point. Cleveland Golf’s commitment to helping golfers make more putts and have more fun on the greens has never been exemplified. Its Huntington Beach Collection provides real performance golfers can greatly attest to. Each putter in this collection sports a precision-milled face with a coarse, rhomboid-shaped milling pattern, which is four times deeper than that of the forerunner Classic Collection HB putters. Its deeper milling pattern produces a soft feel at impact, at the same time increasing friction for a more consistent roll. The fact that its milling pattern is four times deeper than that of the previous variants means that less surface area comes in contact with the ball. Therefore, as we’ve mentioned, the sound/feel and roll is significantly softened as well. The Huntington Beach Collection offers three clean head shapes as discussed above. This review is focused on the #1, and Cleveland has now gotten the overall aesthetics right—finally! The #1’s features the flowing curves, as you would expect from a traditional Anser shape. Its flange site-line exudes a neat look and straight alignment. From behind (bumpers/cavity/flange), the putter looks almost identical as the past releases outside of the paint fill and bumper engraving. The sole engraving is redesigned, sans the frills of the previous line. Its font features two different paint tones that set the line apart without any distraction. Cleveland Golf’s previous releases utilized 17-4 stainless steel, which is a very sturdy metal in putter applications—even aggressive milling could not completely eradicate a bit of the audible harshness. The company has now moved to 304 stainless steel, and while all metal is “hard,” according to Cleveland’s testing, the 304 SS is more than fifty percent softer than 17-4 SS in this application. The newest putter to join the family, this putter is engineered with a premiere alignment system, helping you sink more putts. Its top line will help you achieve phenomenal hand-eye coordination. Give the PGX SL a try and see how it is one of the best putters for beginners and veterans alike. One of the best putters for beginners you can find on the market, the Pinemeadow Golf Men’s PGX Putter offers high quality and optimal performance. The brand name isn’t well known to the casual golfer, but the quality of the putter is respected within the industry. Surprisingly, it’s one of the few steel shafts still available in this age of composite or graphite sticks. This putter has a clear alignment that will aid you in better targeting, which makes it ideal to use for both practice and tournaments. If you have aiming issues, this could help you end that problem. Even if you are more than six feet in height, the shaft would still work for you. You won’t face any issues in gripping or bending, which is crucial in avoiding any mistake in hitting the green before the ball. Most of the users feel that they can slash at least three strokes off their overall score, but still encourage others, especially novice golfers, to spend a little more time on the practice green to get the hang of using the putter before actually participating in any competition. The PGX SL’s “plumber neck” hosel is a great tool to achieve alignment. It helps you in making sure your putt is on the right path from the start. The black and green grip is a popular putter grip, manufactured with fiber and polyurethane layers that provide a firm but comfortable feel and excellent shock absorption. 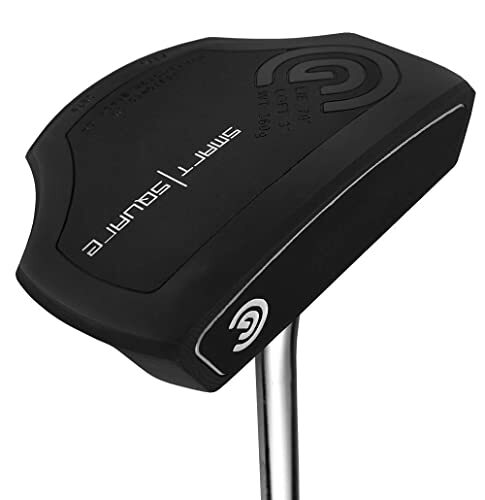 The putter’s weight is distributed towards the center, giving its head a great balance. Such will aid you in keeping the putter aligned during your stroke. The PGX SL’s pearl white mallet club head makes it a cut above the rest, as its extra weight helps those who have trouble with long-distance putts on fast-playing greens. The putter leans on the heavier side, allowing the golfer to keep their back straight during their follow-through and keeping them from pulling off the ball. This will also help preserve the optimal pendulum line required on the backstroke of your putt attempt. This yields more accuracy on the course and better scores in the round play. The putter comes with a unique white finish, which gives a good contrast against the green grass, helping the golfer remain on target with his putt alignment. This also reduces the hotspot (a shiny reflection off the head), allowing the golfer to make the most out of the improved visual aids. You’ll find it very easy to align the mallet clubhead and hit the ball with amazing precision. The White Hot Pro 2.0 is one of Callaway’s best putters for beginners, and golfers of all levels love it due to its aesthetic appeal, remarkable consistency, and exceptional feel. This blade putter comes with an improved version of their White Hot inserts. Callaway uses a laser milling cutting process to make sure the inserts provide a tight tolerance so that golfers always get consistent performance. As perfect as this blade putter might look and feel, there are also a few complaints from golfers such as the fact that it takes many golfers a lot of time to get used to it and the expensive price tag. 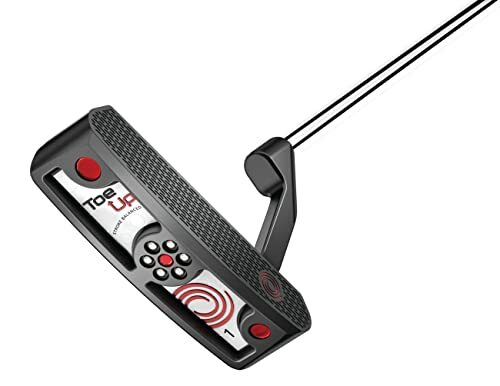 However, the experience and performance that you get from this putter far outweigh the minor drawbacks, and so it is an excellent choice for both amateurs and professional players. Sleek finish limits glare and enhances durability. Doesn’t come with an oversized grip, which many golfers prefer. Unlike the standard putter, the White Hot Pro #2 offers a relatively higher level of feedback and feel through the club head, which also delivers a consistent sound with clean ball strikes. And how does this translate to performance? We’ve had a high level of success with 6-feet and 12-feet putts with the Odyssey White Hot Pro #2, despite the head we’ve noticed not being geared for such long-range shots. This blade putter comes with an improved version of their White Hot inserts, and the company uses a laser milling cutting process to make sure the inserts provide a tight tolerance so that golfers always get consistent performance. It is because of these inserts and other features, like the heel/toe weight placement, that you will always get a consistent sound, feel and performance across the face of this club. What catches your attention right off the bat is the White Hot Pro 2’s sleek finish that makes it look darker than its predecessor. Its finish does not only improve its aesthetic appeal; it’s also important in reducing the glare, and generally enhancing its durability. The White Hot inserts are quite hard to miss, but the putter still has many other features that make it the best blade putter, according to thousands of users. These include the contrasting alignment aids, crank neck hosel, EyeFit System, full shaft offset, heel/toe weight placement, and timeless blade head design. If you are hunting for the best putter for beginners, you should check out Wilson’s Harmonized Square Heel/Toe model. This putter is built with microinjection polymer inserts that provide a comfortable feel on contact and an oversized grip that’s designed with a vertical seam for maximum comfort. This blade edge putter is another bargain option, costing significantly less than everything that will follow. Notwithstanding, it is still made of excellent quality. 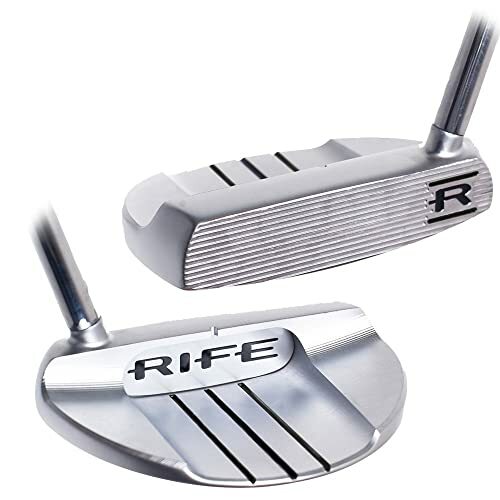 The cutting-edge design leans considerably on one of the most forgiving putters faces around, helping you achieve a steady putt with good rolls and a soft touch. 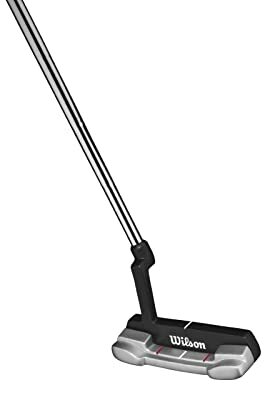 Overall, the Wilson Harmonized Square Heel/Toe Golf Putter is definitely one of the best putters for beginners, as it compensates for the most common problems that face new golfers, helping them save strokes from the get-go. Wilson has manufactured the Harmonized Square Heel/Toe Golf Putter with two important qualities in mind: ergonomics and high performance, using only the finest quality materials. Its soft, oversized, ultra-comfortable grip and its flat front allow for absolute control. It doesn’t slide, which makes it easy even for any novice golfer to putt with excellent precision. The Wilson Harmonized Square Heel/Toe Golf Putter weights only 340 g, which makes it the easiest putter to use for novice and professional golfers alike. The product has a 70°-lie angle, which would work well especially if you’re one of those golfers with belly-button swings. Owing to its 3° loft, this putter lets the ball start with a tiny fly, then roll perfectly across the green, all the way to the cup. This Wilson putter features a grip that is purposely widened to teach better habits to new players. Additionally, it has a vertical seam on the back section that improves the club’s feel throughout the stroke. Its microinjection polymer renders a very active face that helps in achieving the ideal putt speed. It also provides an exceptional feel when the putter comes into contact with the ball. It also helps in making the Harmonized Square Heel/Toe among the most forgiving putters. You can be confident of some nice putts regardless of where you hit it. Wilson Harmonized Square Heel/Toe Golf Putter features a heel/toe weighting, ensuring you that you always achieve a maximum moment of inertia. This putter also has a plumber offsets hosel that enables your hands to remain ahead of the ball through your stroke. 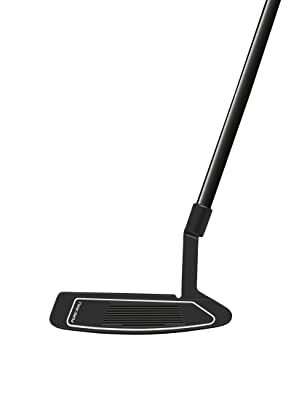 This putter has an easy alignment design with some horizontal lines on its head. Its gray and black contrasting finish also aids with the alignment. It is available in left and right-hand orientation, making it a suitable putter for all golfers. The blade putter is the traditional putter design. The old golf boys and a lot of PGA Tour pro golfers still use this simplistic club. The clubhead looks like a simple blade. Since this shape never went out of style, manufacturers have started experimenting with it. You get blade putters of different weights, face types etc. These can be used in harder greens which require a more delicate touch. 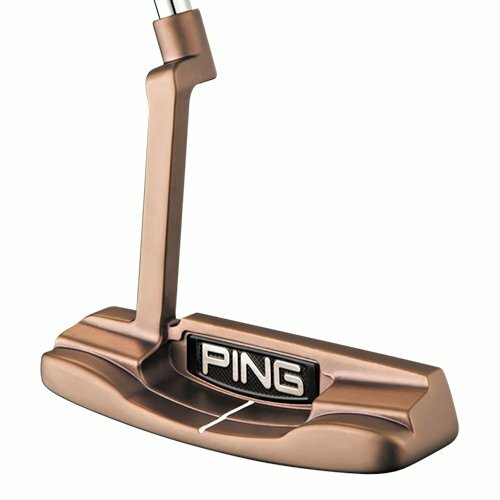 This is the Ping Anser design that revolutionized the putter architecture. This is weighted at both the toe-end and the heel end of the clubface. The Ping Anser has an unusual hosel design. It can be altered to match the requirements and swing styles of any type of golfer. More importantly, the Ping Anser has clean lines which are either aligned parallelly or at right angles to the target line. The mallet putter has a larger clubhead than the other two types of putter. The larger clubhead allows the weight to be concentrated on any part of the clubface. This helps stabilize the putter to any golfer’s capability. Mallet putters also offer a bigger sweet spot than the blade putters. The weight across its perimeter reduces the torque of the golf ball even if it is not hit dead center. The extra weight of the mallet putter head also helps the vigorous golfers pull off delicate shots with more finesse. In face-balanced putters, the centre of gravity lies right under the axis of the club shaft. These clubs are best-suited for the straight putters because their clubface retains its position though back swing and follow-through. They open less on the backstroke and close less in the follow-through. Many mallet putters are face-balanced. Padraig Harrington used these through his career in many winning shots. The toe-balanced putter is one which has a center of gravity at the toe of the clubface. The clubface of such putters rotates from open to close as you come from backswing to follow-through. This type of behavior is best for the arc putters. In such putters, the shaft joins its clubface at the heel. Many of the heel-shafted putters might also be heel-balanced. The golfer herself/himself has to try out this putter and see if it meets their putting style. Picking the putter based on shaft placement is an entirely intuitive science. Some clubs have shafts connected to the center of the edge of the clubhead. Most of the center-shafted putters are face-balanced. Players with straight putt usually do better with the center-weighted shafts. Although most of the PGA Tour pros use heel-shafted putters, don’t take this to be your default. If you are consistently performing bad with a heel-shafted putter, switch to a center-shafted one and you may notice a huge improvement. If both the heel-shafted and center-shafted putters don’t work for you, the hosel offset is the best option. Here the hosel is attached permanently to the clubface. The hosel may have an offset which places the clubhead behind the club shaft axis. Length of a putter decides how much control you have over it. First you stand in the correct address position for putting. If while holding the putter, your grip is way down the shaft, your putter is too long. If you grip is near the top end of the shaft, you require a longer putter. Putting is an extremely controlled motion. The feel of the club in your hands is crucial. The weight of the club contributes to this. You might get the length customized to your size but make sure that it does not change the feel of the putter in your hand. The weight lost or gained with height of the putter must be compensated. We have explained different types of putters here. To select the best putter for beginners, they should be made to try different types. There are patterns of behavior as we mentioned like straight shooters should go forface-balanced putters and so on. Putter heads determine the nature of your shot. The mallet head gives the beginners better chances at hitting the sweetspot consistently. The weight reins in the extra power of their swing until they learn the finesse of putting. Blade putters have similarly brought success to many golfers. It ultimately depends on your putting style. 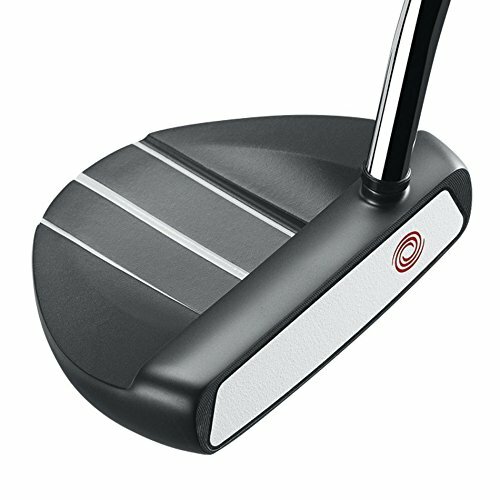 What length of putter should i buy? We will help you find out the answer right now. Selecting a putter is all about the feel of the putter in your hand. Putting is a measured move that requires precision and control. The best putter for beginners is one that makes her/him feel in control. The Quolf Two-Way Putter - Left and Right Hand has all the generic traits that suit most golfers. It’s a two-way putter with standard length and weight. The hardy head means it can take a beating and the frustration of the novice golfer. Its balance and glide will educate the player about the nuances of the putting action. Its budget-oriented price will make the lives of many budding golfers easier. All the putters in the best putters for beginners and high handicappers list can fill the skill-book of a newbie golfer. It’s up to you to be the judge and practice until perfection. If you still want to find out more information, read our guide at "W﻿hat are the golf clubs needed for a beginner ?"